Here is just a small selection of the many publications that my work has been featured in. 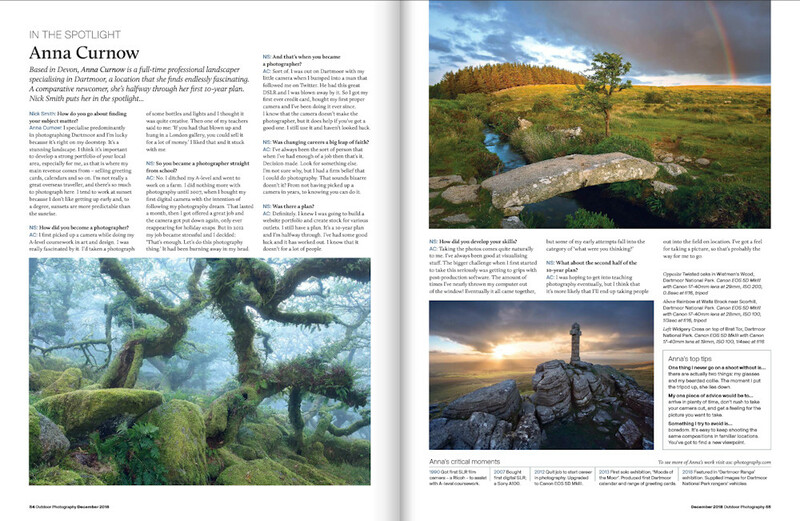 I also licence my images for use in magazines and other publications. If you are interested in any of my images for use in your publication, please contact me to discuss your requirements. 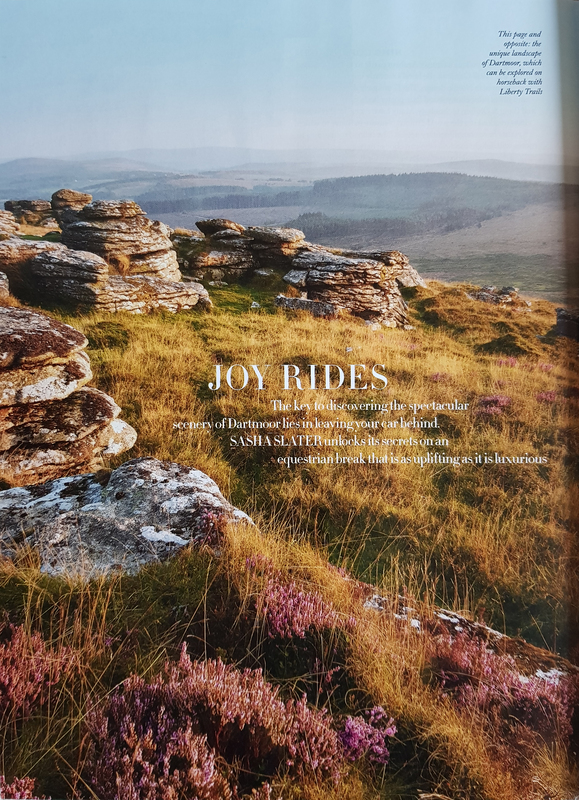 Article for Enjoy Dartmoor magazine, high-lighting my favourite places and any tips I could share. 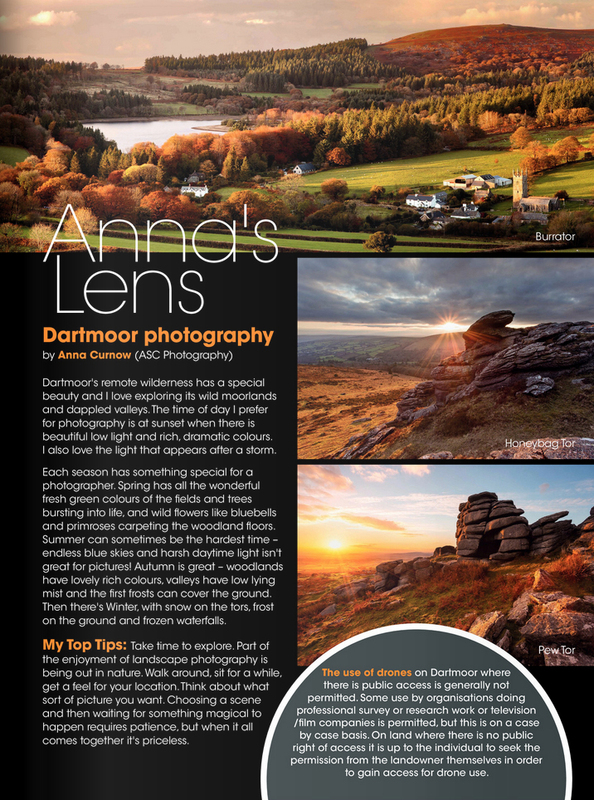 Invited to be the photographer 'In the Spotlight' for Outdoor Photography Magazine's feature. Birch Tor image supplied as a background picture for an article on Dartmoor. 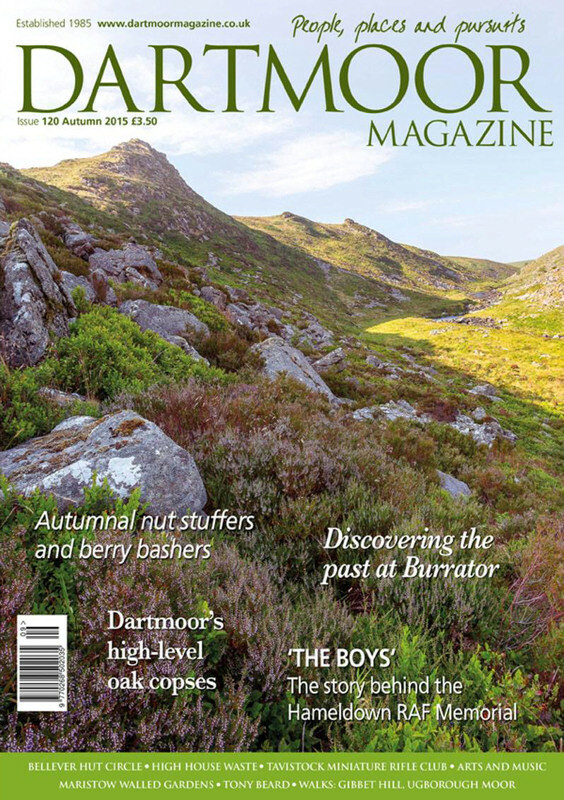 Images for the cover and contents pages as well as a feature for the Autumn edition. 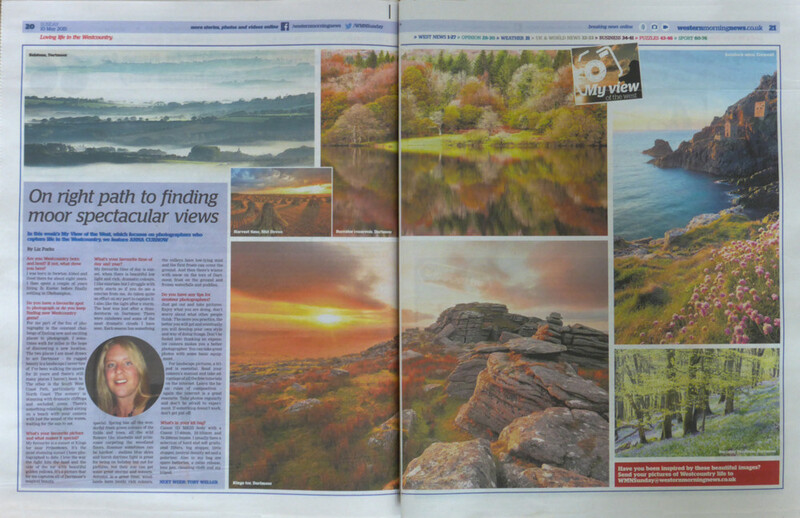 Invited for 'My View' 2 page feature in the Western Morning News newspaper. 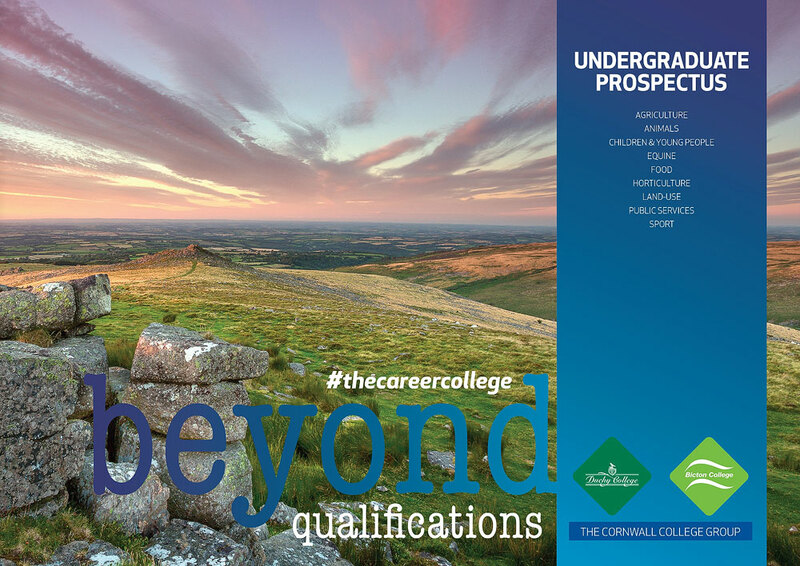 Belstone Tor used as cover image for the 2017 Prospectus for the Duchy College and Bicton College. 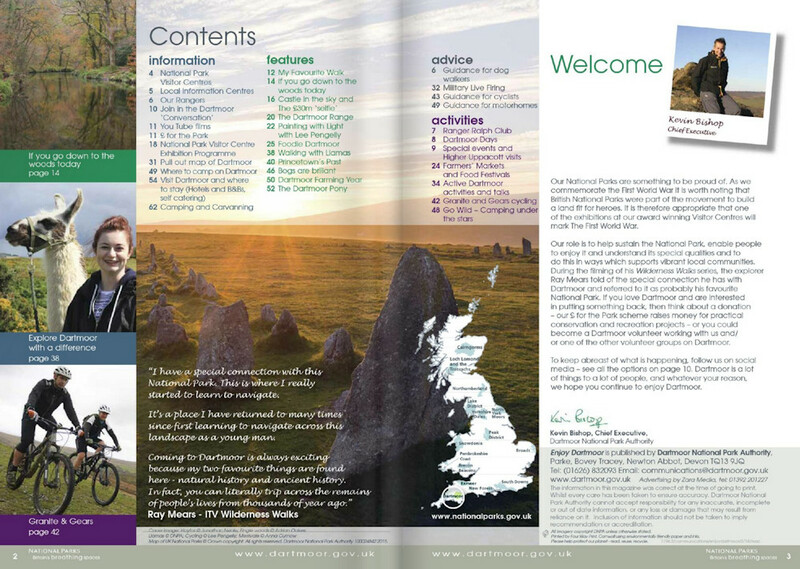 Merrivale Rows image used on contents page of Enjoy Dartmoor magazine. 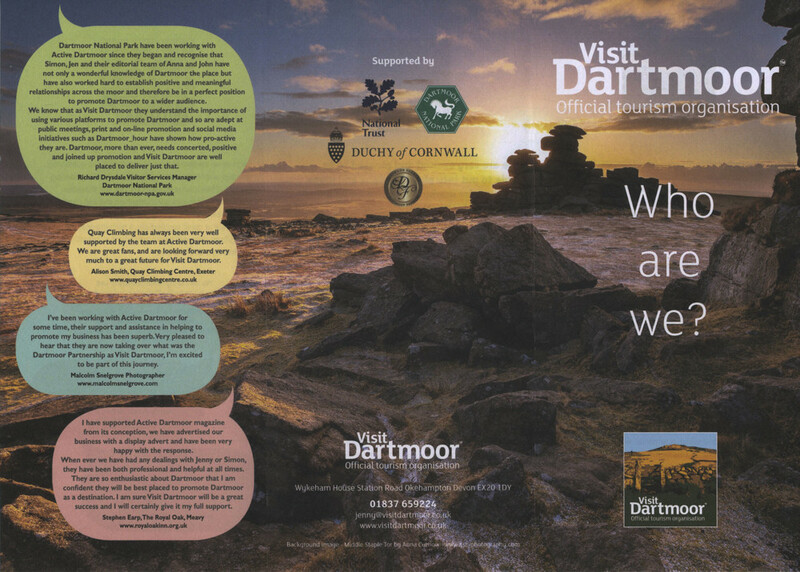 Image of Staple Tor used as a background for Visit Dartmoor's 'Who are we?' leaflet.